Scottish Exhibition & Conference Centre, or SECC to its friends and fans, draws us back, time and again. Attracting BIG names for concerts, there's much more to impress here. Of course, its important that your visit turns out a star performance. With this is mind, here are some of the top places nearby. 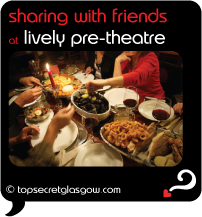 A quick look will help you find the best places for some SECC pre-theatre dining beforehand. If you're lucky enough to stay over. places to sleep on a range of budgets are shown. Cool local bars with style - to help your evening go with a bang - are also mentioned. Have a fab time at SECC. 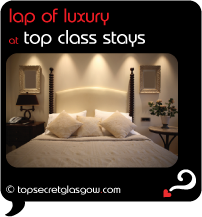 Having a laid back time on your evening at SECC might be the most important aspect for you. Glasgow has many restaurants that are prefect for SECC pre-theatre. Close to Kelvingrove Park, The Sisters Kelvingrove /Browse/Restaurant/The_Sisters_Kelvingrove(reveal best table deals?) serves up top of the range Scottish cuisine. Adding their own take to all sorts of locally sourced produce, meals here live long in the memory. A warm welcome and decor that's minimal and natural, but with splashes of strong Scottish art and tartan, combine for perfect romantic SECC pre-theatre dining. A hidden local gem makes a very unusual basement its home.The Shandon Belles /Browse/Restaurant/Two_Fat_Ladies_at_The_Shandon_Belles(reveal best table deals?) truly is tough to find - best ask a taxi driver, its only 2 minutes from SECC. Cute and understated, the cuisine shines here. Following the quality standards set by older siblings in the 'Two Fats' stable, this restaurant is sure to impress. Your evening will get off to a tasteful start at Shandon Belles. Look closely, and next door to Chinaski's nests the well groomed Black Sparrow /Browse/Restaurant/Black_Sparrow(reveal best table deals?) . Charming and highly polished, the laid back tunes here are often mixed by a DJ sitting by the rear windows.And those curved Chesterfield leather booths make the perfect place for a chatter (and laugh) with friends, either before or after visiting SECC... And before or after any SCEE pre-theatre treats. Maybe your trip to SECC was to enjoy s concert? A relaxed bar for a quiet seat after cheering and dancing for 2 hours might be just what the doctor ordered! City Inn /Browse/Restaurant/City_Cafe_(reveal best table deals?) sits right on the river Clyde, a mere 2 minute stroll away. In the funky shadow of Squinty Bridge, take a seat on their riverside decked terrace for a stylish drink. Or head inside, for a relaxed time in the minimal, chic city bar. Although SECC sits in an area all its own, its nice to know that there's a major attraction close by. Take a stroll over one of the foot bridges beside Crowne Plaza Hotel and turn right. You can't miss it! SECC attracts people in droves. Two plush hotels worth considering for your visit are neighbours to your venue and they also serv lovely SECC pre-thearte meals. Almost next door to SECC stands City Inn /Browse/Restaurant/City_Cafe_(reveal best table deals?) . It might look like a shoe box from the outside - but we all know not to judge a book by the cover (if you can excuse some mixed metaphors!). You know what I mean... With chic, minimal decor, this lovely hotel has one of the funkiest spots in Glasgow, excellent cuisine and a riverside terrace. Who could ask for more? Glasgow has a well deserved reputation as one of the most friendly cities. To make sure every visitor has a warm and cosy time, beds suit all budgets. 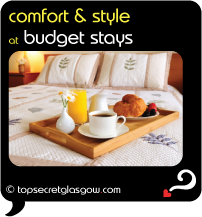 If you feel like staying in a cute joint that feels like going to stay with friends or family, Argyll Guest House http://www.laterooms.com/en/p8275/hotel-reservations/180375_argyll-guest-house-glasgow-glasgow.aspx(reveal best room deals?) fits the bill. Perched on the edge of gorgeous Kelvingrove Park, its within easy walk of the city centre, West End's fun - and SECC. So, how was it for you? Had a blast at SECC? Great! Its time to share your story, and spread those happy memories and views on SECC pre-theatre. 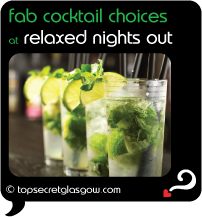 Send us your story, and we'll publish your very own Top Secret Glasgow pages on the web. 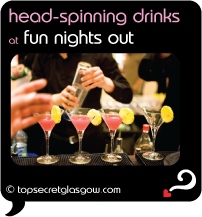 For free, naturally...;-) Then you can impress everyone with the amazing times you're having in Glasgow. Great news! Finding this page means you can now join our VIP list for SECC. Grab your very own web page all about SECC. Do you have a special story about SECC? A funny experience? A grand occasion? A funky photo? A personal tip? A top secret? public Scottish Exhibition Centre (NCP) in the hood! overground Exhibition Centre in the hood! Opening times vary, depending on event times.